Office Space - West Calder, West Lothian. 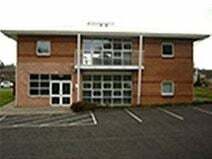 A high standard of office accommodation in tranquil countryside close to Livingston. The attractive building is complete with reception, meeting/ conference facilities and on-site management team. Virtual office packages available. Livingston town centre offers a range amenities minutes’ away. Great transport links, with the M8, providing links to Edinburgh and Glasgow running close by, while Edinburgh Airport is only 15 minutes’ drive.